Dealerbaby | The premier native mobile app platform for automotive dealerships. Does your dealership have a mobile app? Launch a mobile app for your dealership in days, not months, with Dealerbaby! Keep your current customers coming back to your dealership. With a Dealerbaby mobile app for your dealership, current customers engage with your dealership through push notifications, vehicle management updates, exclusive deals, and service appointment scheduling, all through their mobile devices. Every installed mobile app is a prospective buyer. Alert potential buyers of new deals via push notifications, add their email address to your current sales funnel, and track their behavior via our analytics module. 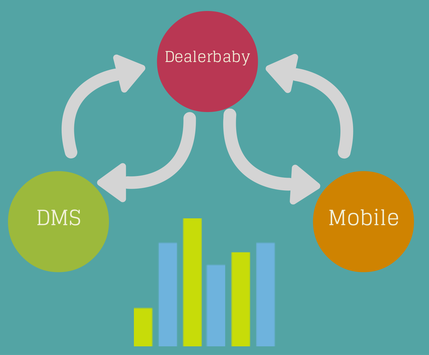 The Dealerbaby mobile app platform is a powerful tool to collect and nurture leads. Merchandise your current inventory with a mobile app. With a Dealerbaby mobile app for your dealership your dealership can reach more prospective buyers in a cost effective manner - decreasing your marketing budget. Who doesn't want to increase profits, while spending less money? Native mobile apps provide enormous advantages over mobile websites and mobile web apps. Not only do your users know exactly where to find your app in Apple's App Store or the Google Play Store, native mobile apps are faster than the alternatives and have complete access to all the features mobile devices run on. Are you unsure if your mobile app is a true native mobile app? Contact us and we can chat. The Dealerbaby platform connects directly to your DMS. What does this mean for you? There is no need for manual updating. Instead, inventory is automatically imported into the Dealerbaby platform and immediately appears on your native mobile app. Users are able to schedule service appointments and access their previous purchases - information pulled directly from your current DMS. Would you like your mobile app users to have the ability to schedule service appointments through their mobile devices? With the Dealerbaby platform they can! Users can browse your service schedule, find available times, and schedule various service items without any interaction with your service staff. The Dealerbaby platform is fully customizable and allows you to choose what service items users can schedule, what days they can schedule, and which users can and cannot schedule a service. Push notifications are the most intimate form of communication available to contact mobile users - an option only available on native mobile apps! The Dealerbaby platform allows your team to schedule push notifications, send automated push notifications (service reminders, exclusive deals, recall announcements, etc. ), and send targeted push notifications to segmented groups of your users. 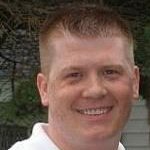 "Our dealership wanted a native mobile app for some time, but was not sure where to start. 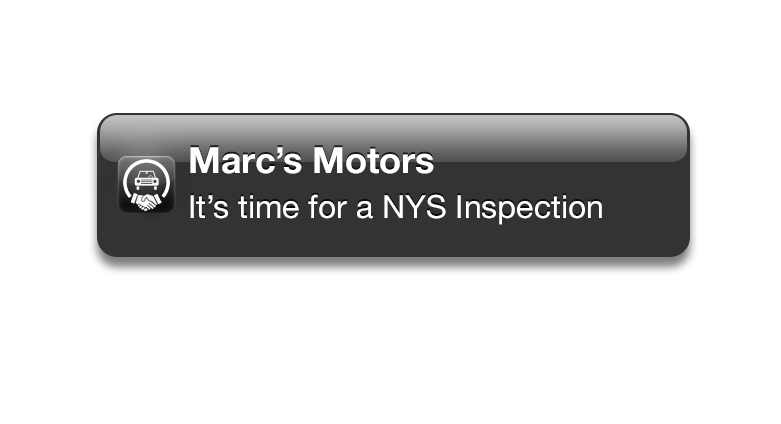 The Dealerbaby platform allowed us to get a native mobile app up and running quickly. Our customers love it!" Interested in the Dealerbaby Platform? Request a Demo and get the first two months of Dealerbaby for free.